Whether you’re looking for a savings account to help grow your wealth or a checking account that will give you the convenience of using a debit card, Cedar Valley Bank & Trust has the right deposit account for you. There are no cookie-cutter checking accounts at Cedar Valley Bank & Trust. We offer a variety of checking accounts with unique features to meet your specific needs. 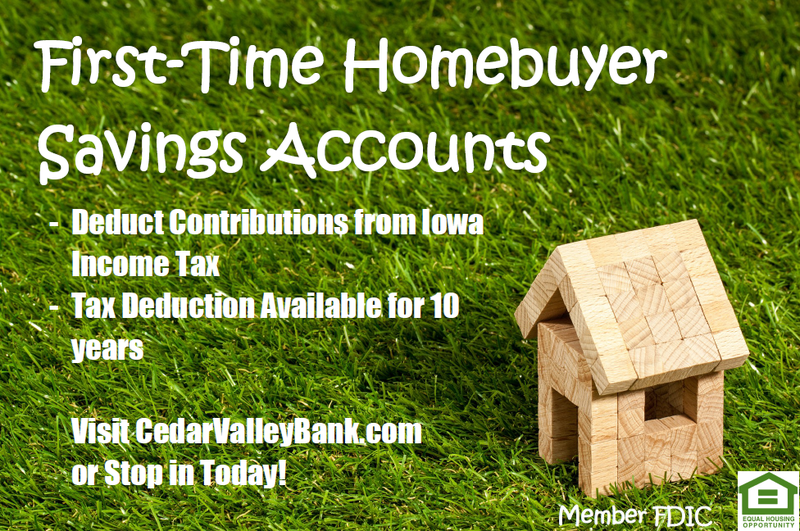 With accounts available for first-time savers or individuals who wish to maintain a higher balance and take advantage of tiered interest rates, you can find the savings account you’re looking for at Cedar Valley Bank & Trust. The road to homeownership is shorter than you might think. The First Time Homebuyer Savings Account Program makes it easier to save and puts you one step closer to owning your first home! Order new checks for your Cedar Valley Bank & Trust checking account through a secure online portal.